There’s no denying the fact that health and fitness is a crowded market. There are gyms all over the place, and they all offer, at their core, the same thing: a place to get fit. With that in mind, it’s no wonder so many gyms employ the efforts of pro-marketers to drive new business, and retain existing members. Whilst hiring an agency is one path you might choose, there are also plenty of marketing strategies you can start using yourself, as an owner or manager at a gym. 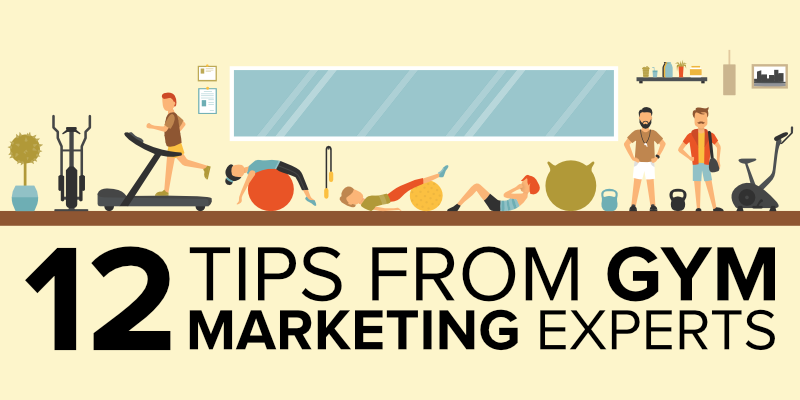 We spoke to 12 experts to find out their top gym marketing tips for 2018. 8 8. FOCUS ON GOOGLE MY Business! 8.1 Get lots of great reviews. There are definitely some cornerstones to keep in mind for effective campaigns and lead generation that are the difference between wasting a whole bunch of money and time, and actually getting the results you want (dream clients, and cash – am I right!). Earlier this month, with $100 Facebook ad spend, I drove $27,000 worth of high-quality leads to an MMA gym client. He was blown away and had to actually ask me to turn off the ads because he couldn’t handle all the leads at that time. 80% of these leads were female, which is what he wanted. Now, getting women interested enough in an MMA gym to actually come try it out and then sign up is not the easiest task in the world. The secret: Get in the shoes of your customer! All I did for the ad copy was to speak directly to the ideal customers’ pain points and their experience. Using this strategy makes the customer feel as though you actually understand them and their journey – and if you do this, well, the results speak for themselves! People don’t buy from you unless they trust you, and if they see that you understand them, that immediately creates a sense of trust that is very valuable to you as a marketer. If you don’t already have a professional-looking logo, get one. It’s best to hire a graphic artist to create your logo unless you have the talent in-house. Use your logo as often as possible on signage, your website, advertisements and in newsletters. Your logo, website address if applicable, and contact information should be visible on giveaway items and products you periodically give your fitness members and potential clients. Name recognition gives your brand authority, which establishes you as a trustworthy business. Marketing yourself can be expensive. But there are affordable advertising alternatives, especially when branding yourself locally. By distributing personalized giveaways at festivals, sporting events, school functions or other sponsored activities within the community you will increase your exposure and subsequently your sales. People love free stuff and hold in high regard companies that provide it. One marketing idea that works well for gyms is the sponsorship of weight-loss competitions. A customized yoga mat, travel tumbler or drawstring bag is a fitting award for the winner! People attracted to the world of gyms love to be healthy and fit. Exercise is natural and fun. Who wouldn’t want to do it. Many of your potential customers are unfit and view exercise as time away from work and a physical pain. In having conversations, you must not allow your excitement/enthusiasm for what you do create a negative impression on your unfit customer. They are talking with you not because they WANT to be with you but because part of them thinks they HAVE to be with you. If that is the goal, focus your comments on the customer’s goal (looking beautiful in that dress). Social media is super important for local business, but a different strategy must be applied when marketing your local gym as opposed to a national business. No matter the platform or algorithm change, external engagement and great content will always be key. Find social media fitness influencers in your area by clicking on different location tags local to you and looking for accounts with good engagement levels, or you could even ask a few of your members to find out who their favourite local accounts are to follow. Don’t expect to get shout-outs or recommendations for free from these accounts – however, building a relationship with them by following, liking and commenting will go a long way and may even see them following you back or recommending you to their followers, especially if your gym is within a specific niche. Micro-influencers are a big deal nowadays too, so don’t neglect those who have a smaller following – engage with as many local people interested in fitness as possible. An hour a day will make a big difference, so commit to leaving some meaningful comments during lunch hour or while waiting for dinner to cook. Having great content doesn’t need to be time-consuming or costly, and this will keep you in the top of mind for your followers, attract new followers, and ensure your gym is thought of as a high-quality place. Tell the stories of your members – take a clear photo of them working out in your gym, with their permission of course, and use the text area to build emotion and desire for the gym with stories of weight loss, overcoming adversity, or beating challenges. Finally, be consistent with your social media. It’s much better to spend a smaller amount of time per day engaging and posting, than a lot of time every few weeks. The number one thing that I’ve seen with gyms and personal trainers that we’ve worked with is that they either don’t have a website or the website they do have is not user-friendly. 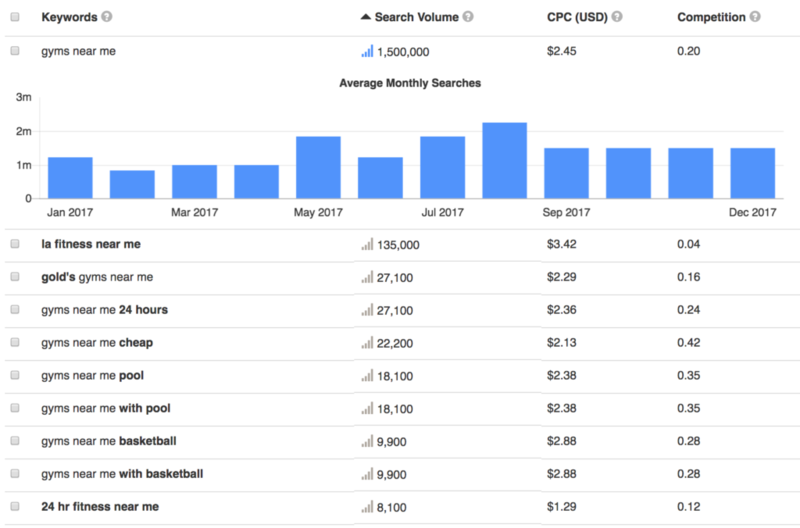 Creating an awesome website where people can go to see the classes you offer, book an appointment for their training session, or just see what the gym looks like, is imperative to driving more foot traffic (and dollars) in your door. Another digital marketing idea for gyms is to advertise on Facebook and Instagram. Being able to target your specific demographic, location, and having the ability to target people based on life events is really going to drive those people looking to lose a few pounds or just get fit in time for their wedding. Creating engaging ads that speak directly to those people are really what seals the deal. In addition to regular Facebook and Instagram ads, having an influencer in your area (especially if you are a one building operation) will help get their followers in your door and expand your reach. [Simple] Referral Business Reward Program – Give a free month, or two, away to any current member who recommends a new member. This is a tried and true strategy. [Medium] Competitions Throughout the Year – Having competitions of who can take the most steps using health apps, lose the most weight, or attendance throughout the year will incentivize the current membership to continue renewing their memberships and create a sense of community. Make the rewards worthwhile. [Advanced] (For Gyms with Classes) – Facebook Live a Class Session & Tie it with a Giveaway Offer: Stage a special workout class at your gym during one of your lowest times of business. Facebook live the event and offer a discount or giveaway to those that follow along with the class through Facebook Live by using their Ads platform to create a funnel. By turning your Facebook Live video into an ad you send the viewer to a landing page to captures the email address/contact information of the viewer in exchange for the giveaway. You capture a lead you can follow up with that will most likely take advantage of the discount and join but also expand your audience online since a boosted Facebook Live with right targeting will reach people in your area that you want to target. To take it to the next level retarget the people who viewed the event but didn’t take the discount. A free trial period is a key to getting people interested – provided the gym can truly wow the potential customer during that period, build trust with them and effectively and consistently follow up with those who have completed free trials. There is a lot of sales-y, “look at how great we are” content out there right now, so unless what the gym is offering something enticing enough, they’re unlikely to take notice. A free trial achieves this because it’s low risk and low commitment – and it’s something you can easily promote with digital marketing on autopilot. I also recommend systemising follow-ups after the free trial, so that no potential customer is forgotten. 8. FOCUS ON GOOGLE MY Business! This search term is critically important because it implies that the searcher does NOT have a gym they prefer yet. The best way to get in front of that search term is to invest in your Google My Business page. 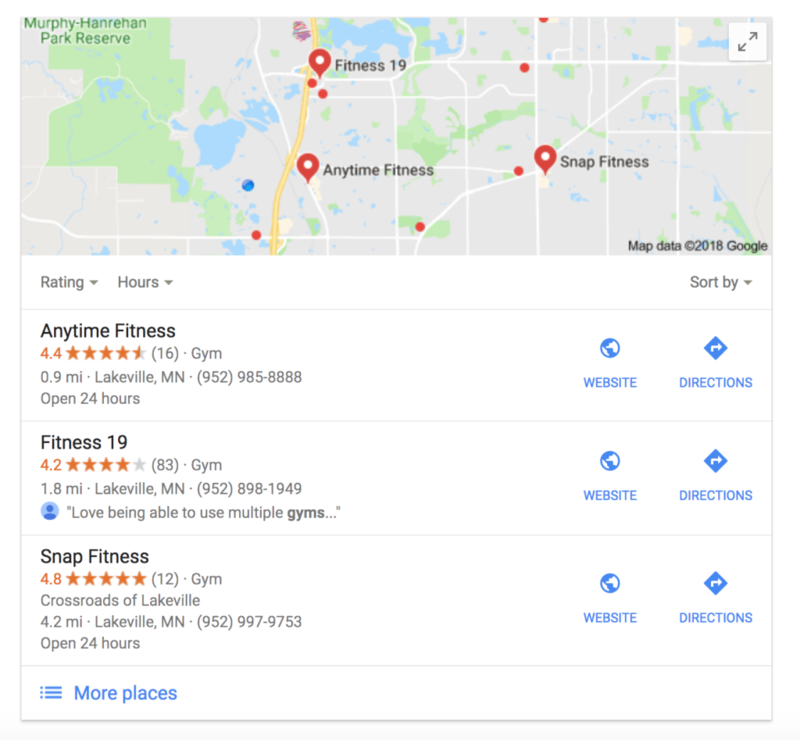 You can go from a fairly obscure gym, to the local dominant player through the Google My Business pages, which is critically important because of the slow nature of organic Search engine optimization. So how do you “focus on Google My Business” and the Local Snippet? Get lots of great reviews. If you build up the most reviews of the highest caliber, preferably with PHOTOS, you’ll have more people check out your website. Get more reviews than your competitors, just make sure they are legit, bona-fide, and authentic! You should be posting 2-10 Photos a week on the Google My Business Photos and Posts sections. The more you have, the more people will click through and hopefully come check you out. Instagram has 800 Million Active Users. Due to the visual nature of the platform, Instagram is a valuable social media platform of GYM’s. Instagram DM is one of the most underutilized mediums for lead generation and hence every GYM should do that. In this competitive marketplace for gyms, fitness centers, and sports clubs, the need for your gym to stand out has never been greater. With a gym’s target audience usually within a one or two-mile range around the gym, on-site advertising is the best way your location can stand out and bring in more members. Using things like Advertising Flags, Advertising Balloons and some Pennant Strings attract attention immediately and get people in the door. The high ROI and low cost make this form of marketing an ideal solution for boosting gym membership. 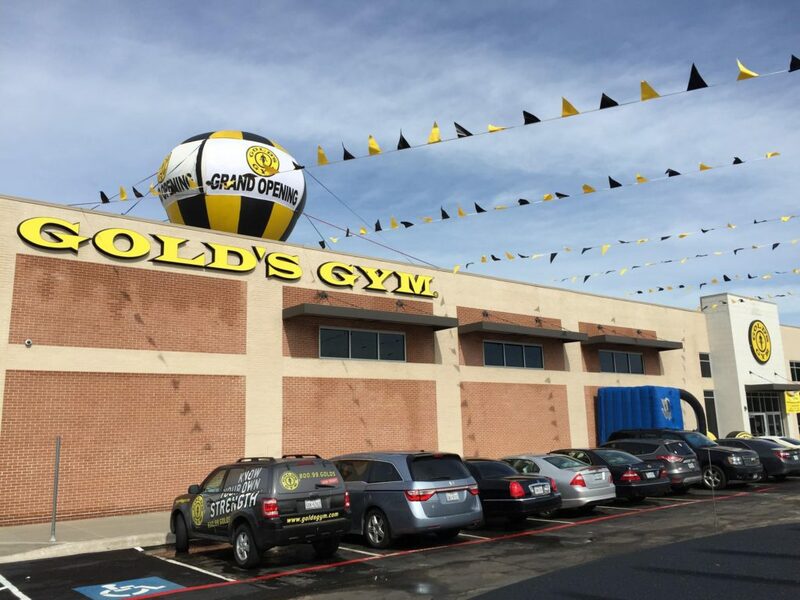 For example, Gold’s Gym catches the attention of everyone driving by their location with this 20 ft. advertising balloon, customized banner message and black and gold pennants. It’s the type of advertising that potential customers just can’t miss. Local businesses rely much more heavily on referrals because communities are relationship-based. It’s all in who you know. Provide an extraordinary customer experience. People don’t talk about a gym that’s nothing special. That’s why no one brags about working out at Planet Fitness. You can do this through culture, going above and beyond with customer service, and taking the time to have personal conversations with members. Create a culture people belong to. Again, you want people to talk about your gym, so what’s so special about it? Are your members really close, like family? Are your trainers highly qualified? Is there a lot of personalized attention given? Provide incentives. For lower-end gyms (under $30-$40/month), this might mean providing a member with a free month of membership in exchange for referring a new member. For a higher end gym (such as a CrossFit box/charging over $100/month), this might be a gift certificate for a massage. It also helps if you offer the new member something (such as a discount on their first month). Actively encourage people to invite their friends. It’s OK to ask your members if they know anyone who might be interested in joining your gym or to ask them to post a review on your Google Business account or Facebook page. In order to receive referrals from other local businesses, you have to know what your gym brand is – who comes to your gym? Why? For example, I work with a gym whose main clientele is injured athletes looking to get back in the gym post-recovery. With that market, we’ve been able to successfully reach out to sports medicine doctors, athletic trainers, physical therapists, and other practitioners who work with those types of clients to build referral partnerships. If you offer fitness classes for moms, think about other places moms congregate – Baby & Me classes, midwiferies, etc. to see if you can create a partnership. Again, you could potentially create a special incentive for their audience, such as a discount on a membership / free first month for people who are coming from your referral source. You want to instill a sense of confidence in your audience that your brand knows health/fitness inside and out. This means creating content that shows your expertise within the industry. Depending on what your audience is interested in, you could create posts about specific weight loss regimens, ways to increase physical endurance, or how regular exercise improves mental health. These types of posts will help establish your brand as a thought leader and make your content more visible online. In order to be valuable, your content has to do one (or more) of these three things. Educational content like “How to Lose Weight the Healthy Way” is evergreen and shows your brand’s expertise. Entertaining content like “10 Jokes Only Fitness Professionals Will Understand” lightens the mood and satisfies the average online user’s need to be kept amused. And inspirational content like “How This Mother of Three Lost 200lbs in a Year Through Regular Gym Visits” can strike an emotional chord with your audience, making your brand stand out from the crowd. A good mix of these types of content will attract users during the information search process and keep them coming back for more. As you build your library of valuable content and share it with health/fitness communities, you’ll establish your brand as a go-to resource for health/fitness related material. Achieving this will mean more awareness, more trust, more traffic, and most importantly, more customers.